Depart for the approximate 57nm to Sidney, BC. This will be a long day cruise so it is advised to get an early start. Clear Canadian Customs at the dock just inside the entrance to Port of Sidney Harbor. On you own for dinner. Tuesday, you can stock up on stores/groceries that are prohibited from being brought into Canada. We will meet for cocktails at 5:00 pm at the pavilion. Bring an appetizer to share. Dinner on your own. It is a short 14.5nm to Brentwood Bay. Anyone who wants to meet on the dock for cocktails at 1700 hrs is welcome. Dinner on your own. There is a restaurant at the Marina. Thursday dingy over to Butchard Gardens and spend the day visiting this iconic garden. Lunch, afternoon tea and dinner is available at the Gardens if you wish. Dinner on your own. 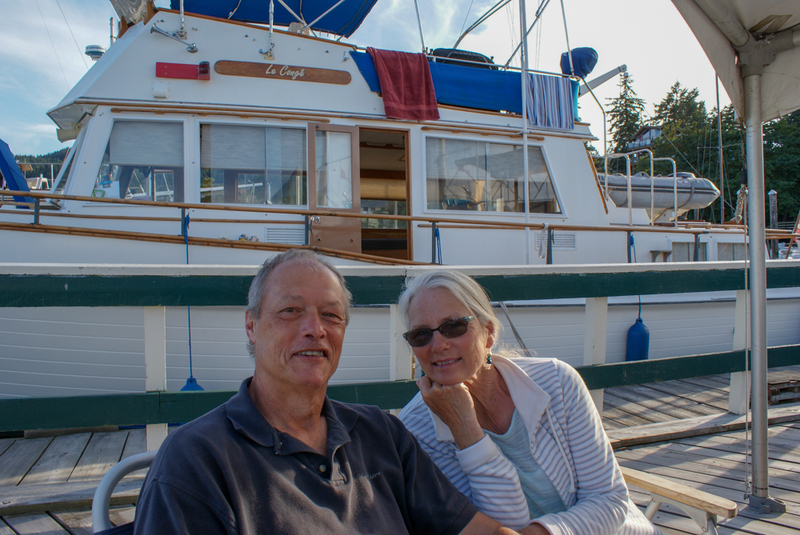 Depart Brentwood Bay and travel the 22.4nm to Ganges. There are many good restaurants near the marina. Dinner on your own. Saturday enjoy the famous Ganges Farmer’s Market. At 1700 hrs we will meet on the dock for drinks. Bring an appetizer to share from our shopping at the Market. Those wanting to attend the Sunday matinee of Grease in Chemainus should purchase their tickets in advance and leave for Telegraph Harbor on Thetis Island Saturday, before 1100. You will need to make reservation at Telegraph Harbor for three nights (21, 22, 23 July). See General Information page for more details on Chemainus Theatre. 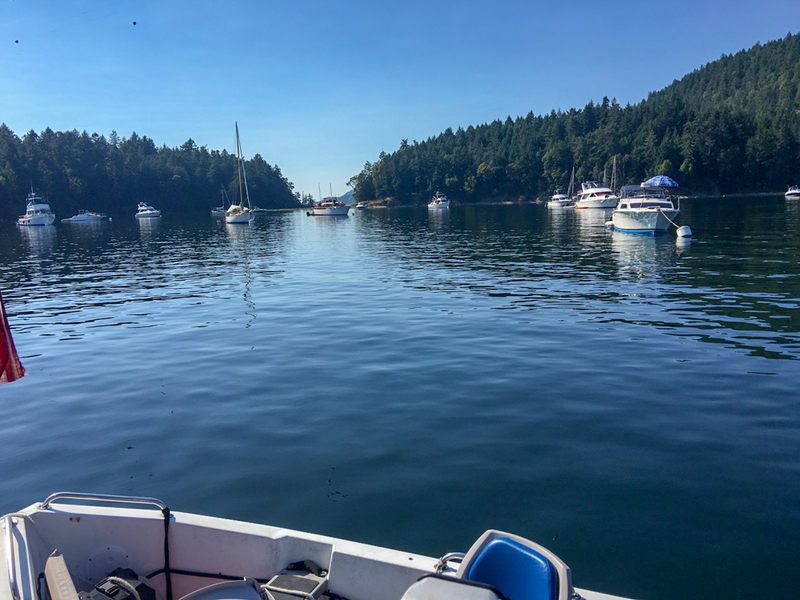 Enjoy a quite and scenic trip for the 20.7nm to Telegraph Harbor, Thetis Island. Sunday you are on your own. The ferry terminal is a short 15-minute walk from the marina and you can go visit the historic and picturesque town of Chemainus. On Monday, Cruise Directors will provide dinner at the pavilion. Meet at the Pavilion at 1700. BYOB and utensils. This is another short leg of our trip at 15.5nm. There are two entrances to the harbor, go in one way and depart the other. 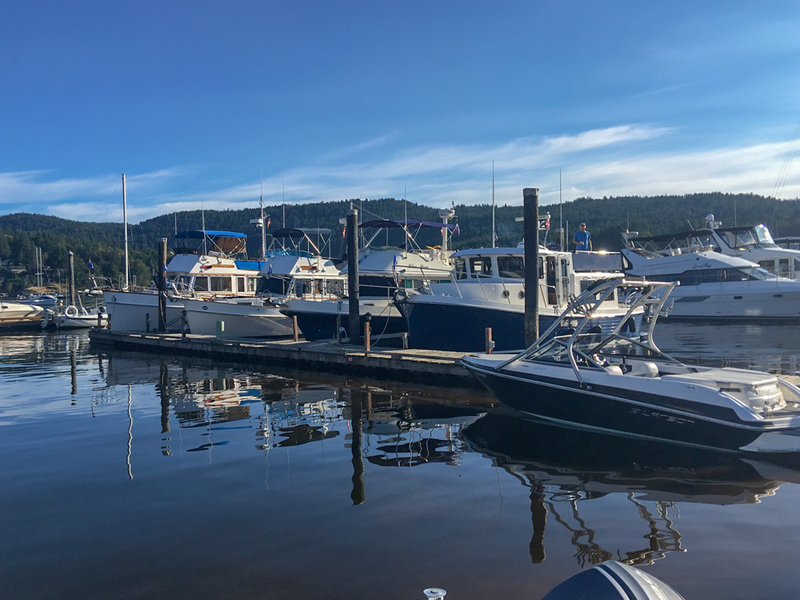 You can choose to make a reservation at Montague Harbor Marina or pick up a mooring ball in front of Montague Harbor Marine Park. There is also plenty of anchorage space with good mud holding. 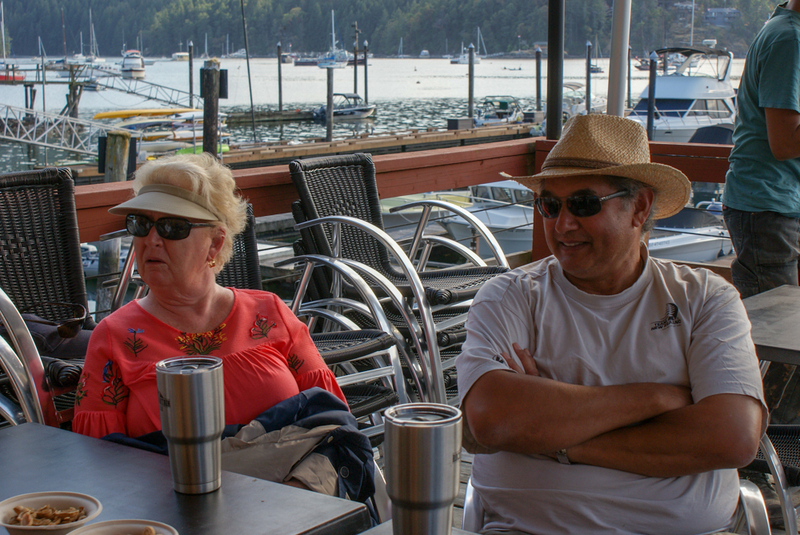 You are on your own to explore/hike the park or stop for lunch at the Marina restaurant. This is a good jumping off point for any boaters wanting to venture north to Desolation Sound of the Broughtons. Depart Montague Harbor for your return back to the USA. This will be another short day at 20nm. If you have a Nexus or I-68, be sure to call in and clear customs when you cross the Canada/USA boundary line. 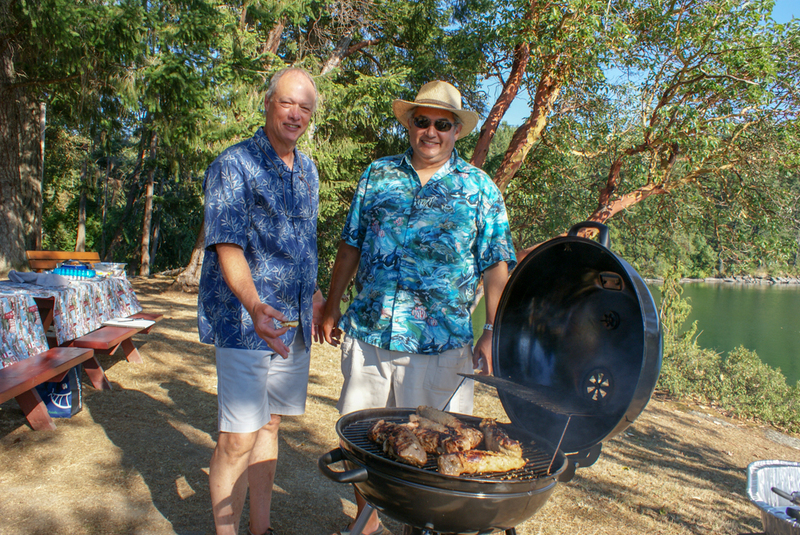 If you don’t have these, you can proceed to Roche Harbor to clear customs and then head over to Reid Harbor or if you prefer to tie up, remain in Roche (be sure to make your own reservations). Reid Harbor has a lot or mooring balls, linear tie ropes and a few floating docks you can tie up to. Also has great anchorage space if it is full. Take a hike on shore to the north end of the island where Orca’s routinely can be viewed. You are on your own for dinner. Depart Stuart Island for the 54.8nm (distance via Haro Strait) trip back to Port Ludlow. You have the option of going down Haro Strait or San Juan Channel. Keep an eye on the weather and currents and select your best option.